Andy and Lisa are both journalists with more than a decade’s experience each working for local and national newspapers, magazines, specialist publications and international broadcasters. 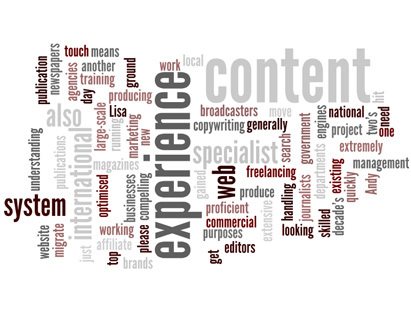 They also have commercial copywriting experience gained freelancing for agencies handling top international brands. This means that they can produce compelling content for your website or publication. They also have extensive specialist experience in producing web content that is optimised for search engines and for affiliate marketing purposes. And it’s not just new content. If you need to move or migrate existing content from one system to another, we have experience of doing that for large-scale businesses and government departments. We are proficient at rapidly coming to terms with a new content management system and can generally hit the ground running with no more than a day or two’s training. So, if you are looking for skilled web editors to work on such a project, please get in touch.